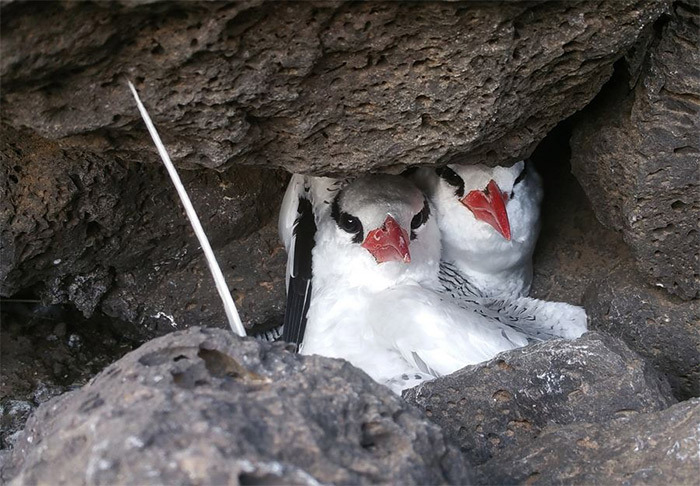 In 2014 and 2015 two Red-billed Tropicbirds were present on Fuerteventura, Canary Islands, but there was no proof of breeding. 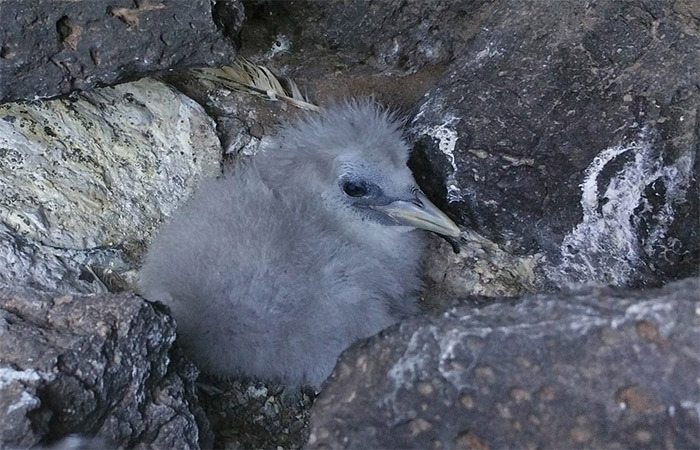 In 2016 Tony Mulet located two birds, in the same place that they had been observed in both 2014 and 2015, and recorded that they were regularly attending the cliffs there. Later, local ornithologist Marcelo Cabrera noted the same birds. In May, on a visit to this site to try to confirm breeding of the species, it was confirmed that breeding was occurring and that at least 20 individuals including eight pairs were present. 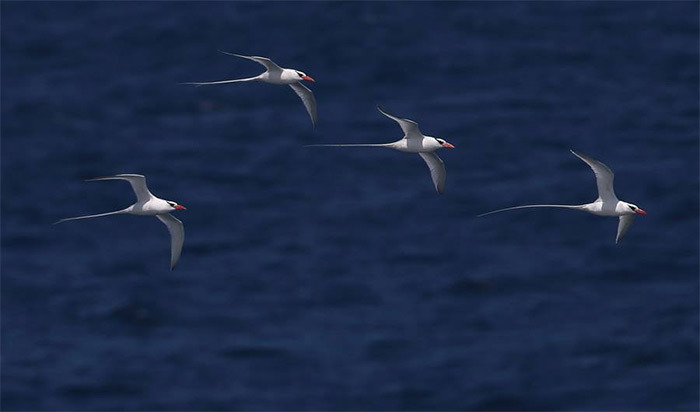 Elsewhere in the Canary Islands Red-billed Tropicbirds breed in single pairs. Later in the year Daniel López Velasco corroborated this information, and suspects the presence of another population in another location on Fuerteventura, but he has not yet been able to confirm this. Without a doubt, the species is set to grow by the Canary Islands, but the location of the colony will be withheld due to sensitivities. As the name suggests, the Red-billed Tropicbird is a species of tropical waters, ranging from the eastern Pacific through to the Caribbean Sea, Atlantic Ocean, Red Sea, Arabian Gulf and the north-west Indian Ocean. Historically within the Western Palearctic, breeding has been known only from Cape Verde, with this and the Galapagos populations being the species' key global populations. The first confirmed breeding record for Europe came from the Azores in 1993, whilst, with ever increasing numbers being seen in the Canary Islands (most likely involving post-breeding birds from the Cape Verde population), it was only a matter of time before breeding was confirmed on the archipelago. This came in 2007 on the south-westernmost island of El Hierro, with breeding confirmed or suspected here and on other islands ever since. With the species' northern advance, it may be expected that the number of sightings within British or Irish waters will increase. Indeed, there has been two records within just the last three years, both from Cornwall, off Pendeen on 18th August 2013 and off Porthgwarra on 28th August 2015.